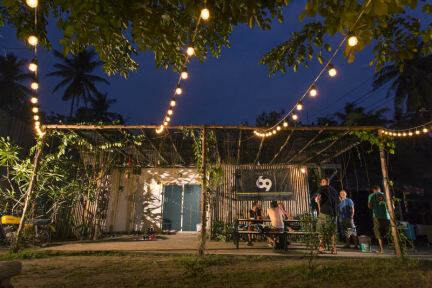 Hostel '69 Koh Tao is a small and sincere home of international travelers who believe hostels are much more than a cheap place to stay. Our main goal is to provide a safe, open, and easy going environment so everyone can tap into the chill vibes of the Summer of 1969- share laughs, build friendships, and enjoy some sun rays! Enjoy our large court yard with hammocks. 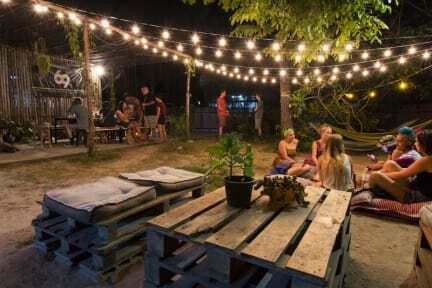 There is an on-site bar "Good Vibe Bar" with cold drinks every night, also live music and jam session every other nights. In true Summer fashion we like to periodically host BBQs as a great opportunity to bring guests together for a night of fun and delicious food. After 6pm your reservation will be cancelled unless you inform us of your late arrival in advance.